Tim Sloan’s long history as an insider at the scandal-prone U.S. bank tainted his tenure as chief executive. Yet he dealt effectively with much of Wells Fargo’s historic mess. The worrying thing is that despite Sloan’s obvious challenges, the board isn’t ready with a successor. 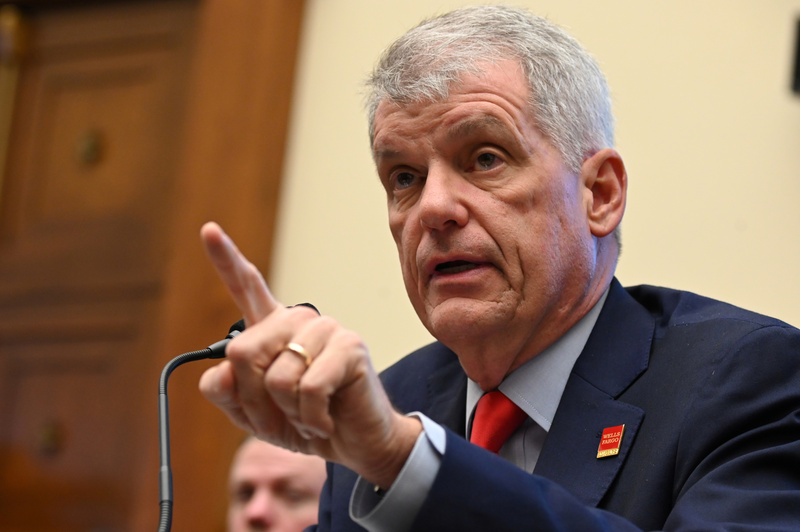 Wells Fargo CEO Tim Sloan testifies before a House Financial Services Committee hearing titled: "Holding Megabanks Accountable: An Examination of Wells Fargo's Pattern of Consumer Abuses" in Washington, U.S. March 12, 2019. Tim Sloan resigned as chief executive of Wells Fargo with immediate effect, the U.S. bank said on March 28. Sloan will stay at the company until June 30, and will be replaced on an interim basis by General Counsel Allen Parker. Sloan had worked at Wells Fargo for more than 31 years. His predecessor John Stumpf resigned in 2016 after a series of scandals including the creation of millions of false customer accounts. The lender has been fined by every one of its federal regulators. Parker joined Wells Fargo in 2017 from the law firm Cravath, Swaine & Moore. Chair Betsy Duke said that the search for a new chief executive from outside the company would begin immediately.